“In this world, loving someone is a weakness.” He let his fingers trace my chin, “I’ve always been strong. I need to be strong.” His voice was a whisper as his eyes fell to my lips. I didn’t break my gaze from his, “You are strong.” I wanted to say so much more but was too lost in the way his eyes told me he wanted everything I did. He didn’t wait for my answer, he was right, he knew everything about me. S.P. 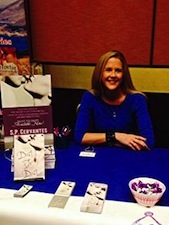 Cervantes is the author of the acclaimed contemporary romance A BROKEN FAIRY TALE series. The series allows you to connect with a group of friends and their triumphs over tragedy. “Dust to Dust” is a suspenseful stand-alone romance that introduces readers to this close knit group of loyal friends. “Wished Away” is an emotional romance that should be read before the Bad-Boy romance, “His Jar of Hearts”. The stand-alone highly acclaimed romance called “The Wife” is now available. S.P. 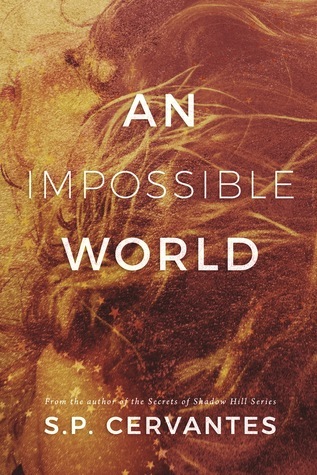 Cervantes’s new dystopian romance, AN IMPOSSIBLE WORLD, will be released on July 25th.